PDEA agent’s attacker a cop? COULD one of Philippine Drug Enforcement Agency (PDEA) 7 officer Von Rian Tecson’s gunmen be a policeman? Cebu City Mayor Tomas Osmeña said yesterday that he received an unconfirmed report on the identity of the gunman who was shot by Tecson before the PDEA agent died of gunshot wounds in Barangay Perrelos, Carcar City August 8. 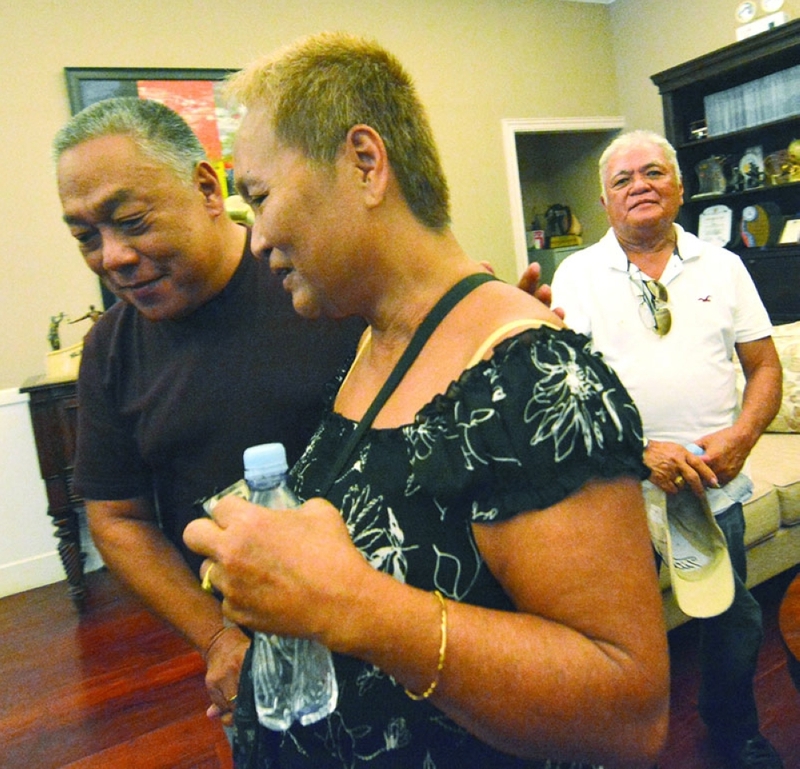 * The parents of Tecson went to see Gov. Hilario Davide III and the National Bureau of Investigation (NBI) 7 for help in the investigation of their son’s death. * The Cebu Provincial Police Office (CCPO) is looking into the angle of retaliation from a drug lord. This drug lord was said to be the subject of one of Tecson’s operations. * CPPO, said its chief Sr. Supt. Manuel Abrugena, will coordinate with PDEA in the investigation. The gunman who shot Tecson at close range is reportedly an active policeman. SunStar Cebu is withholding the name of the officer until the police can comment on his alleged involvement. “The one who shot him is also dead... They are not confirming everything. How is that?” the mayor said in a Balitang Bisdak report. “He’s been in my list, but no confirmation, but he is consistent in my list. 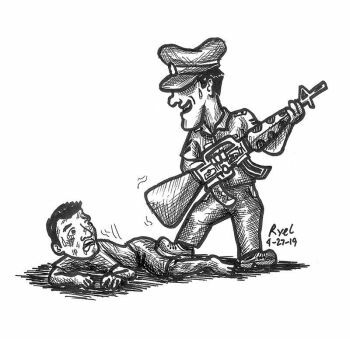 List of not so nice policemen.” Tecson’s brother SPO1 Von Tecson of Carcar City Police Station told Superbalita Cebu that he felt hurt after he was told that a fellow policeman may have been involved in Rian’s death. Cebu Provincial Police Office (CPPO) investigators are looking for the wounded gunman. The police have yet to comment on the gunman’s identity. Witnesses saw a red Pajero (GHD-753) block Tecson’s black Ford Ranger in Perrelos, according to Balitang Bisdak. Four assailants on board two motorcycles then fired upon the vehicle. A gunman alighted from the motorcycle and opened the door on the passenger’s side. Tecson, who was still alive, fired back and hit the gunman. Tecson’s driver, who suffered a minor wound, was able to run. Witnesses then heard a volley of gunfire. The wounded assailant was picked up by his cohorts in a Pajero. The shooting was not captured by a closed circuit television (CCTV) camera. One CCTV footage, however, showed two motorcycles traversing the southbound lane at 12:53 p.m., a few minutes before the ambush. The drivers wore full-face helmets and their passengers had on masks. Five minutes later, the two motorcycles travelled on the lane bound for Cebu City. One motorcycle had no passenger. The Pajero followed the two motorcycles few seconds later. A woman gave an account of what she witnessed: She was not near enough to clearly see the faces of those aboard the motorcycle. The gunman was slim and short. He wore long-sleeved shirt, a black mask and a black cap. When the gunman opened the front passenger door, (PDEA agent) Ian shot him and the gunman fell. The sound of gunfire scared her and she closed her eyes. The team from the Scene of the Crime Operation (Soco) recovered a black cap, mask and a slipper in the crime scene. Witnesses said these items belong to the gunman. More than 30 empty shells and slugs believed to be from M16 rifle and.9mm pistol were recovered. 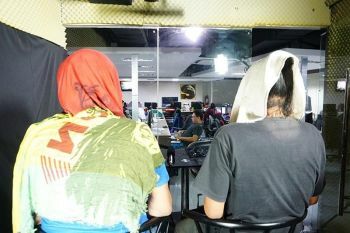 Carcar City Police Station Chief Gregorio Galsim said they obtained a CCTV footage from the Perrelos Barangay Hall but its image is not clear. Land Transportation Office (LTO) 7 Director Victor Caindec said the PNP has requested for the registration details of the vehicles used by the gunmen. CPPO chief Abrugena told reporters yesterday that “we are still searching” for leads on the identities of the attackers of the PDEA agent. Unconfirmed reports said the gunman was brought to a private hospital in Naga City but has since been moved to a hospital in Cebu City. His men will check these out, Abrugena said. For his part, Carcar City Police Chief Gregorio Galsim said his investigators have checked the public hospital in Carcar City and a private hospital in Naga City, but were told no person with gunshot wounds was brought in. Tecson was a PDEA-Mandaue City officer. He handled several high-profile cases, including the operation against a couple who accused his team of stealing jewelry and other items.